The other day I had put into my CD player one fantastic CD from Finland. 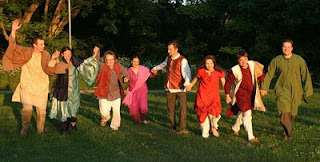 I was twice at Adi Shakti Puja, organized by northern European countries and I always liked to listen to the musicians who give concerts or play at puja or just have a morning meditation. 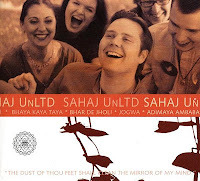 Some of them were the members of the group Sahaj Unlimited, to which I would like to devote the following lines. I always get enthusiastic, when I hear something new in music. Before I entered yoga, I used to play hundreds of CDs with all possible music genres. 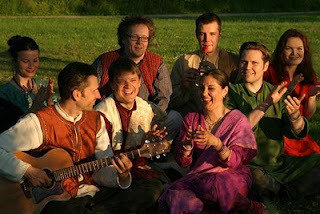 I got encharmed and pleasantly surprised by various fusions of especially Eastern music with Western music given by various musicians. 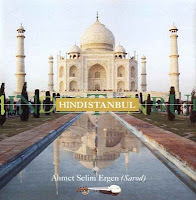 Any mixes, the influence of ethnic cultures and infusion of those cultures in the Western music always persuaded me, that music does not know any borders and that it is a language without words. 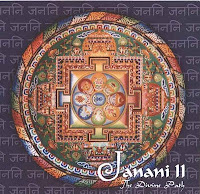 With this CD I expected another versions of famous bhajans and kawali. Yes, I was right until the moment when the CD came to playing the last three songs. I got surprised and in my face you could have seen the smile full of joy. Yes, there was again something new!! Remix of famous Gondhari and Jogwa literally captivated me. I am always fascinated when I can find something new in music – here it was the courage to make a special version, insert a new idea and give it a new life. The SU music in these remixes goes with a full swing, you cannot hear anything similar anywhere else. The main credit goes to the Finnish producer and the owner of recording label Elastic House, Dile Kolanen. This musician had studied the Finnish Polytechnics, he teaches the theory of music and plays the electrical bass-guitar. 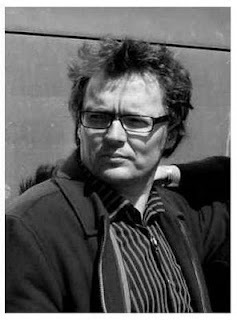 He used to play in many Finnish bands, the last of which has the name Shava (I think we will hear about it), he is a composer, he creates musical design and loves moving pictures. 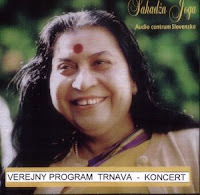 Several years ago he had a dream to spread yoga through music, to make such type of CD and publish it. How the Sahaj Unlimited did come into existence? 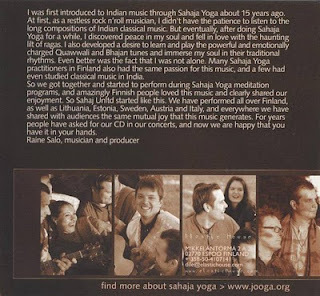 Here in Finland there are many musicians in yoga, so it is quite natural to find pleasure in sahaja music. This is also the reason why Sahaj Unlimited were born. I was pleasantly surprised by remixes of the songs Gondhari and Jogwa. I like the involvement of western instruments (bass-guiter, electric guitar), excellent rhythmical secion and joy of singing, which can be really heard. How did the idea to make such versions come into existence? I spent much time by fusing various kinds of music. I am so happy about it. I like creating musical mixes, where you can find all possible elements from various cultures!!! Let's wish them good luck!